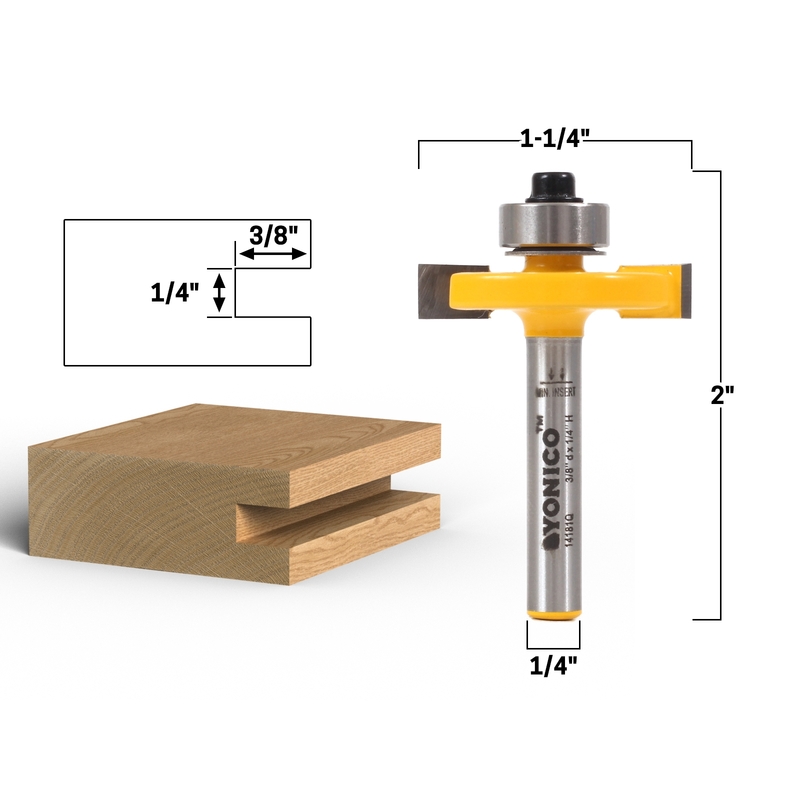 This slotting bit has a cutting depth of 3/8" and a cutting thickness of 1/4". The overall length is 2" with a 1/4" shank. Slot router bits come in handy for many joinery project. Slotting bits can be used biscuit joinery, cope and stick and to create panel slots in rail and stile cabinet doors.